A popular choice with domestic customers, as well as commercial customers using these double sided fires in hotels, bars and restaurants – all of these double sided fires create a fantastic focal point in any room. As well as being an excellent design feature, they are also the perfect way to break up large rooms and spaces, without reducing light levels in the room. Alot of our favourite double sided fires include glass up to eye level, which as well as acting as the perfect radiator, really encourages a light open plan space. Naturally, these fires are most commonly found in contemporary interiors, although we have had customers install them within a traditional interior, and they look stunning. Below we run through some of our favourite Double Sided Fires and some of our bestselling models. 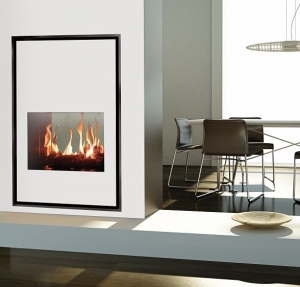 The Roma 50 Tall Tunnel Gas Fire is one of our most popular models and is designed and manufactured by Italkero in Italy. As this fire is a Balanced Flue Gas Fire, the fire and your room remains completely sealed – so no extra ventilation is required. 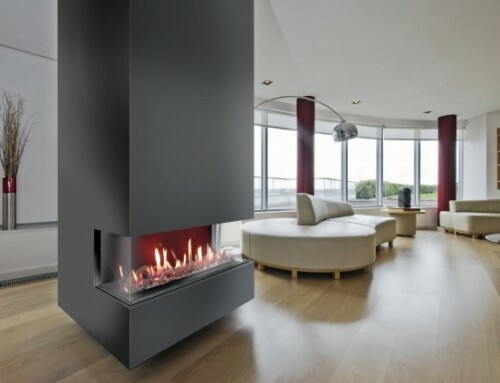 This fire is a popular choice for large open plan space, such as living rooms and kitchens. This design is incredibly popular with restaurants, bars and hotels as well as homeowners. 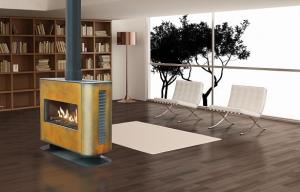 It boasts incredibly low install costs, and excellent heat efficiency as well as a beautiful contemporary design. This three sided fire provides a stunning focal point in any interior space, it’s available with either Logs or Pebbles and can be fuelled by either Natural Gas or LPG. 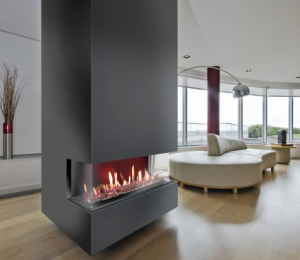 This chic gas fire stove, boasts glass on both sides and is perfect for modern homes which don’t have a chimney. 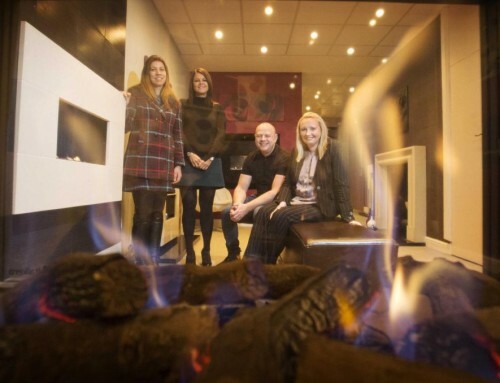 Minimum installation work is required and this fire is supplied as a complete gas fire package. A choice of colours are also available. 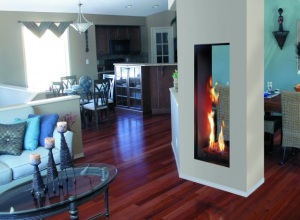 This is one of our easiest fires to install, and is perfect for homes without a chimney. 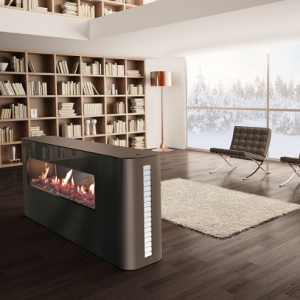 It provides a beautiful contemporary fireplace, with an excellent view of the gas fuelled flames. If you can’t find the perfect Double Sided Fire for you, please get in touch and we will be happy to discuss our bespoke/custom made fire options.